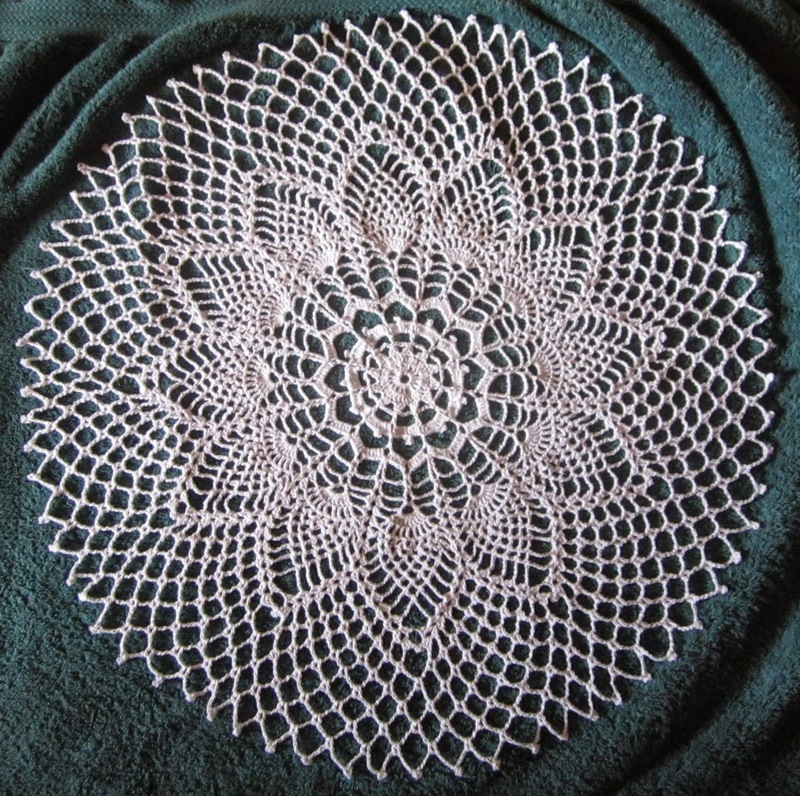 Last night I finished the current doily, it's official name is Jolie Decor from Magic Crochet number 133, August 2001. It came out alright for once I didn't have to fight to block out the doily. One of the perks of using such an open design. The doily didn't even use up the whole ball of thread. In the afternoon we unearthed some of my yarn which was surprisingly undusty. Found some real treasures including over 800 yards of wet spun linen.. There was also nearly a dozen forgotten crochet hooks including some really nice wooden ones. The problem is which projects to ravel and which to keep working on. There is a spider pattern throw about a quarter finished and a really lovely afghan made in different colors and yarn types including a sweater I raveled from the Thrift Store. I even found a hat I knitted 14 years ago and never finished putting together! I really love crocheting, it is an old friend but I just get into too much trouble with this hobby. So now it is just a quiet Sunday afternoon and I really don't want to do anything. Perhaps I will start another doily!